Well it’s been a while since we last sent out a newsletter. There’s been plenty going on but not on the turning front. I’ve been busy creating the new home for Olivers Woodturning which took a lot longer than I was planning. It’s about there now with the new workshop up and running. This will give me space to teach and to start a school for younger people to come and find out about woodturning and all it has to offer. Over the coming month or so the shop for woodturning supplies will be fitted out and up and running. I’ve also been hunting for a supply of good quality wood with which to make blanks. Supplies have been a bit patchy in the past, but this is now done and the timber has started to roll in. I now have stock of Ash, Beech, Elm, Spalted Beech and Sycamore. There is news of a discount below. Let’s get started with the news. Since our last newsletter the number of subscribers has jumped up again, thanks for joining us. For those new to the newsletters I’d like to remind you that we are always looking for interesting ideas to share with the community. You can do this by getting in touch and we can dedicate a page on our blog to your idea or tutorial. Don’t forget that we reward contributions with reward points which earn you savings on your purchases. The forum remains quiet, part of this is down to me not posting so often but also others are not getting involved. To make the forum a place were we could share information with each other it takes a bit of effort, from all so please take a look and add something. 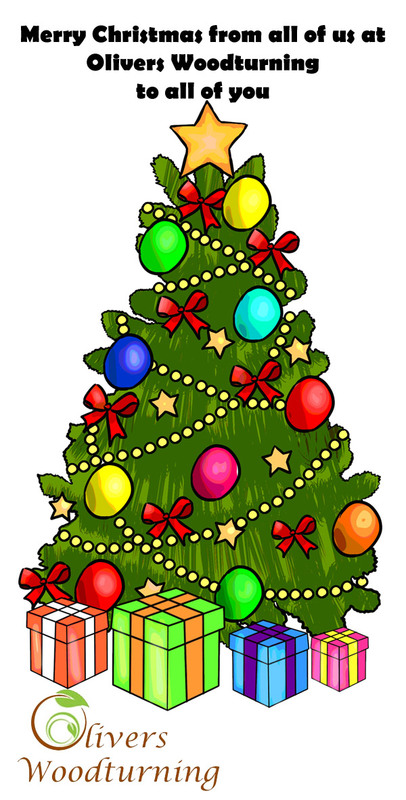 We have welcomed a couple of new forum members though which is very welcome. We are very pleased and proud to be the gold sponsor for the 2016 UK & Ireland Woodturning Symposium (UKIWS) event to be held at the Hilton Hotel in Coventry on the 18th and 19th June.Ed will be there to get to know you all and talk about everything Woodturning. Master classes will be presented by John Aitken, Gregory Moreton, Philip Greenwood, Robert O’Connor and Matt Jones. Planning for the event is still ongoing but there will be many highlights and loads for the woodturner to see. If you would like more info or to book your tickets you can do so here. Earlybird discounts are almost gone so be quick. The Robert Sorby Patriot Chuck offer is back. Now, not only are you saving money but you also get a 7/8″ Steb Chuck added to the deal, free of charge. 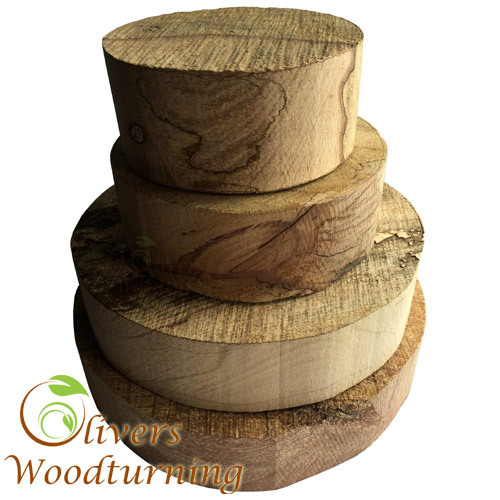 If you are looking to quickly expand your supply of wood blanks we have put together a range of Bulk Blank Boxes.At the moment you can choose between Spalted Beech and Elm and pick from Bowl, Spindle or a mix of the two types. Each box contains up to 20kg of wood depending upon wood type. Woodturning isn’t without its dangers and its worth looking after yourself while enjoying your favourite pastime. 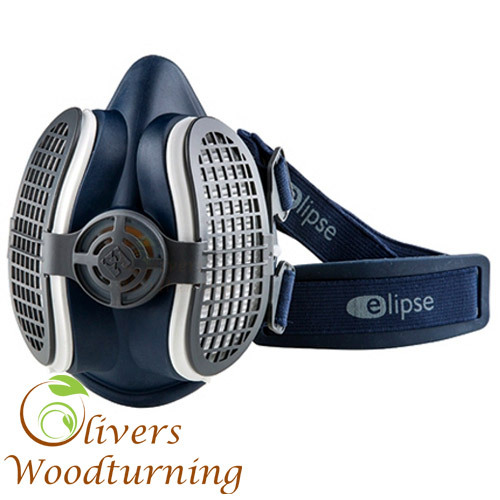 Protect your lungs from fine airborne particles with one of these Elipse Half Face Masks. They are very light and because they are low profile they won’t impede your field of vision. The mask has a soft inner, which shapes to the contours of the face so it helps with those of us who wear glasses that suffer from the lenses steaming up. Another new line in the safety range is the Polycarbonate Honeywell Bionic Faceshield. 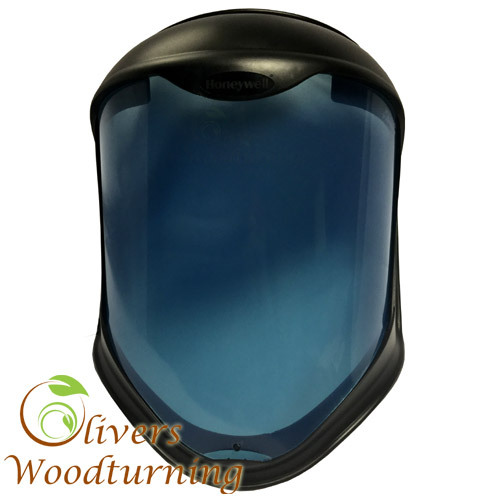 This may not be the cheapest face shield around but for woodturning it’s a good investment. The protection that it offers is first class. 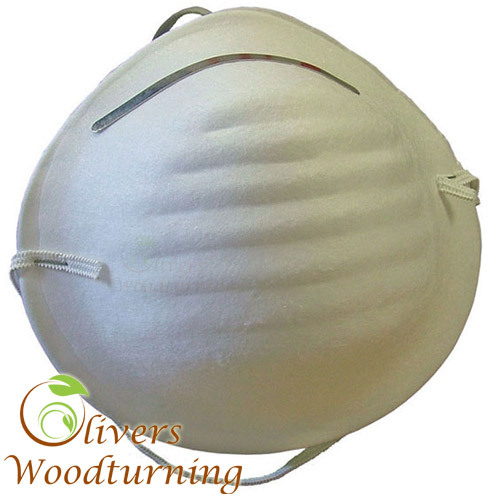 I had a cheaper face shield that I wore during my time at the lathe, but now wear one of these and think that they are a much better design for the woodturner. We have also added these other face masks. 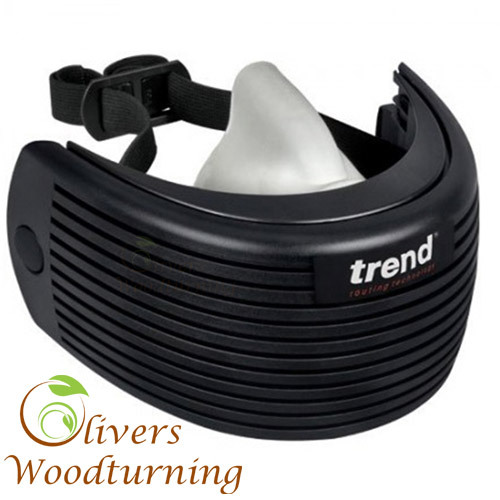 The Trend Airace Airshield Respirator has a much larger filter for better air flow. A one way valve vents your hot breath under the mask to prevent fogging of goggles or glasses. These Disposable Face Masks will not protect against the finer particles but they are useful for everyday tasks.10 per pack. 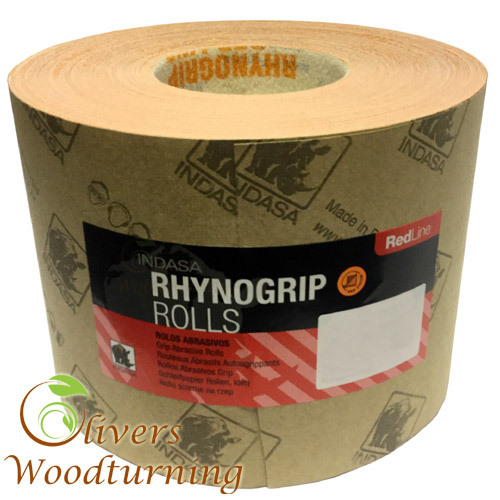 We have expanded our line of Rhynogrip Red Line Velcro Backed Abrasive to include a range of grits in 6″ wide sanding cloths.